Our oldest child, Brittany, will be starting college in August, 2012 - just a few months away. For the past year, she has been visiting colleges, taking tests (SAT and ACT) and filling out applications for admissions and scholarships. I have found that things have changed a bit since I was looking at colleges! We certainly haven't become experts on the current college admission process but we have collected some tips and great resources along the way. Here's what we have learned about taking the SAT and ACT. The SAT is an aptitude test, which tests verbal ability and reasoning skills. It consists of three scores: Math, Writing and Critical Reading. The maximum score for each test is 800 so the total maximum combined score is 2400. There are, however, colleges who only look at the combined math and critical reading scores. Many colleges will allow a super score, which is a combination of your best score from each individual component. If you scored an 800 on critical reading in April, an 800 on math in May and an 800 on writing in August, then your super score would be a 2400. Basically, you get to use your best score on each component and combine them into one super score. There is a penalty for wrong answers so guessing is not recommended. Get more information from the College Board website. The ACT is an achievement test. It checks to see what you have learned in school. The ACT has 5 components: Math, Science, English, Reading and Writing. The Writing test is optional although some colleges require it. There is no penalty for wrong answers so guessing is ok to do. Each test carries a maximum score of 36. The average of these four scores, rounded to the nearest whole number is your composite ACT score. Therefore, the highest possible ACT composite score is 36. Get more information from the ACT website. 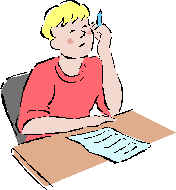 Practice & Study: The more the students can practice and become familiar with the test, the better they will do. We are fortunate that our school has all students (9th-11th grade) take the PSAT every year. Brittany also took a SAT practice course that was taught by the Princeton Review but met at her school once a week. There are also study books available from libraries or guidance counselors and websites that will send you practice questions each day. Take the tests multiple times. This will give your teen the opportunity to improve the scores so that his best possible super score is achieved. You never know when they are going to have a bad day either. Brittany had a nasty bad cold during her first ACT exam. When she took it a second time a few months later, her score improved by 3 points, which is a significant improvement on the ACT. Take both tests. Most colleges only require one of the test scores. However, some students do better on the SAT; others do better on the ACT. By taking both, you can choose which scores to send to the college so that your application looks the best. Start taking the tests in the junior year of high school, preferably in January. This ensures that your teen has plenty of time to take the tests before the application deadlines approach. Early admission deadlines for colleges are generally in October or November. Regular admission deadlines are usually end of December or January. *Note – every college has different timelines so it is extremely important to know the deadlines for the specific schools to which your teen is applying. Budget for the cost of taking the tests. It costs about $50 to take each exam. If your teen is taking the tests multiple times, the cost can add up quickly. There are fee waivers available from your school’s guidance counselor if you can’t afford the testing fees. I took the SAT right before they switched from 2 sections to 3, and I'm so glad I did. They got rid of my favorite section from the math test. I enjoy being able to tell my teens, "Back in my day, there were only two sections of the SAT...!" Can you just see the eye rolls? Great article. I used to teach test prep classes for ACT and SAT and you did a great job summarizing both tests. Thanks! The test prep class that Brittany took was VERY helpful for her. I highly recommend those classes.